Cebu Pacific Promo Fares 2019 to 2020: PISO FARE for Independence Day! 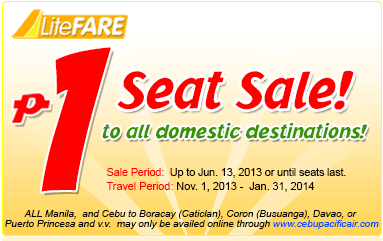 Piso Fare: Enjoy booking your flights today! Take note, this is to all DOMESTIC destinations!